Add a unique touch to your precious metal jewellery pieces with the PMC fingerprint kit. Complete with all the essentials needed to add personalised fingerprints to your latest designs, this Precious Metal Clay Silver Fingerprint jewellery kit contains a wide variety of tools to make silver fingerprint pendants. The fingerprint jewellery kit contains one pack of PMC 3 9g, two spacers, roller, paintbrush, work mat, straw, circle cutter, sandpaper, pencil, needle tool, self-ignition torch, torch block, stainless steel brush, metal burnisher, silver polishing cloth, liver of sulphur, tweezers, 2 jump rings and necklace cord, plus a 9 page colour instruction booklet with clear step-by- step easy to follow instructions. Rolling out the PMC is simple with your accompanying roller as part of the PMC fingerprint kit, and with a specialised torch to fire your clay, creating fingerprint jewellery is a straightforward process. Don't forget to add a hole before firing your precious metal clay, so that you can add a jump ring and necklace cord to your pendant once complete. Jump rings and necklace cords are included as part of the PMC silver fingerprint jewellery kit. Even as a beginner to using precious metal clay, getting a professional finish is simple with the PMC fingerprint jewellery starter kit. The guide is easy to follow and the stainless steel brush that's included helps to create a polished finish and high shine. Recommended additional purchase: 1x 999 958 (Butane Lighter Fuel) This is an eco-friendly product, containing recycled silver. 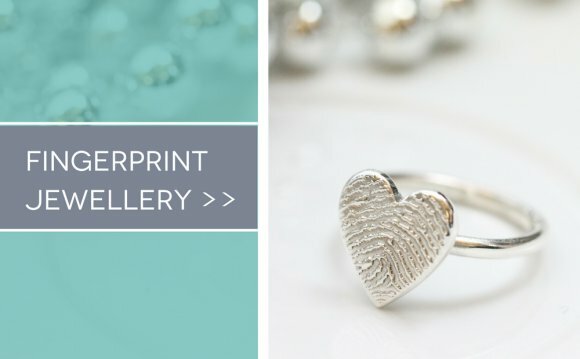 How to Make a Fingerprint Ring?